Four Seasons Hotels and Resorts, year after year earns the deep respect, appreciation, and loyalty of the most discerning guests. Its expectation-exceeding service comes to life in the residences of 30 Park Place. 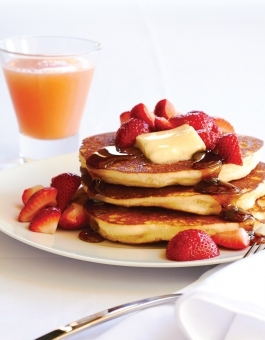 Four Seasons introduces a new caliber of residential living to New York City. Residents will enjoy the conveniences and refinement of five-star living, be it dining, entertaining, socializing or relaxing, all under one roof and literally at their doorsteps. care of an array of tasks. Spa facility with steam rooms and saunas offer a full range of relaxing and nourishing treatments. Four Seasons can provide access to dry cleaning, laundry, pressing, fully vetted trainers, pet care providers, and baby sitters. For out-of-town excursions, or a day of shopping, Four Seasons offers the convenience of pre-arranged transportation. 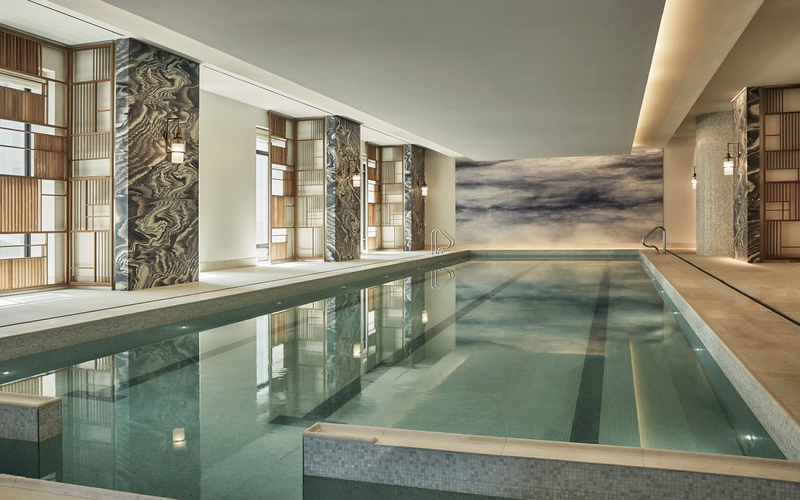 30 Park Place residences achieve the most welcoming and gracious flow. Soaring ceilings, multiple exposures, and warm details add to the character of these beautifully designed homes. 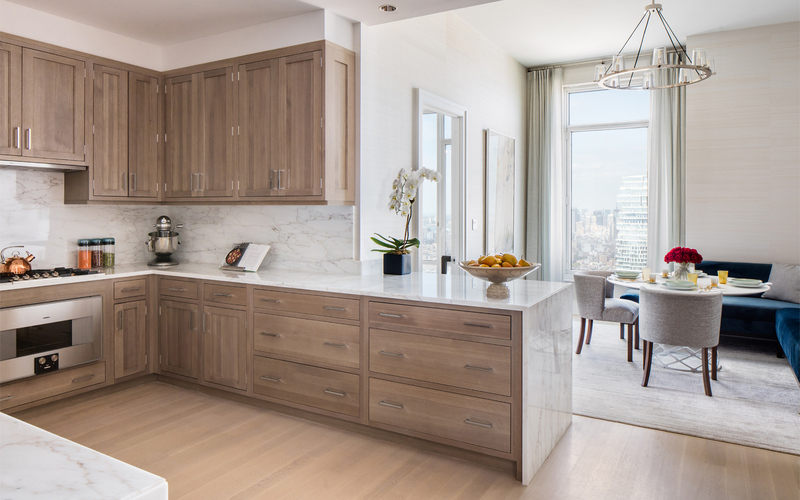 Solid white oak cabinetry by Bilotta, Colorado White marble countertop and backsplash, and appliances by Gaggenau, all with a spectacular view. Chinchilla Mink and Bianco Dolomite marble adorn the master bathrooms with Robert A.M. Stern designed vanities. Penthouse residence offering a gracious terrace and St. Tropez French limestone fireplace with dramatic views of the water. 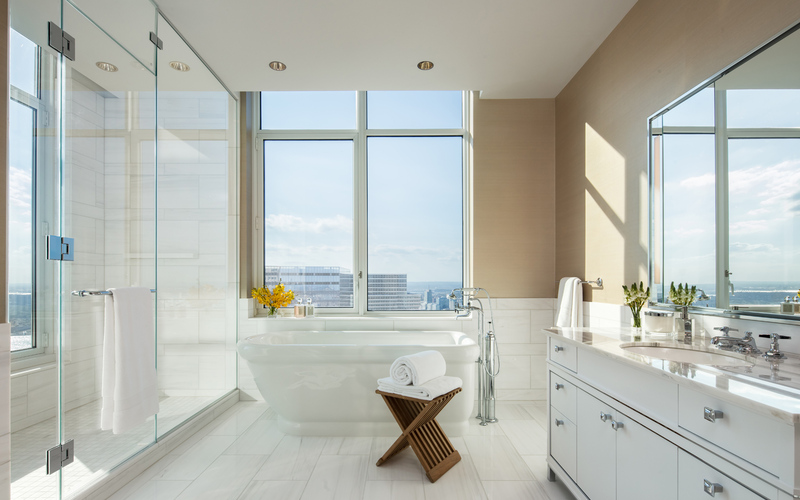 Modern lifestyle inspired the Four Seasons Private Residences New York Downtown at Thirty Park Place, each one carefully considered and meticulously choreographed to achieve the most welcoming and gracious flow. Soaring ceilings, multiple exposures, and warm details add to the character of these beautifully designed homes. The tallest residential tower to grace the downtown landscape, 30 Park Place offers sweeping 360-degree views of New York City – North toward the Midtown skyline, East toward the East River, South to the New York Harbor, and West to the Hudson River. At 30 Park Place, even the canopy over the front door exudes luxury, with integrated heating and lighting to welcome residents home. Residents of the luxury condominiums at 30 Park Place will have access to a full floor of private high-end amenities, including a fitness center complete with Downtown views. The penthouses at 30 Park Place are bringing super luxury condominiums to Downtown Manhattan to create the perfect urban retreat. 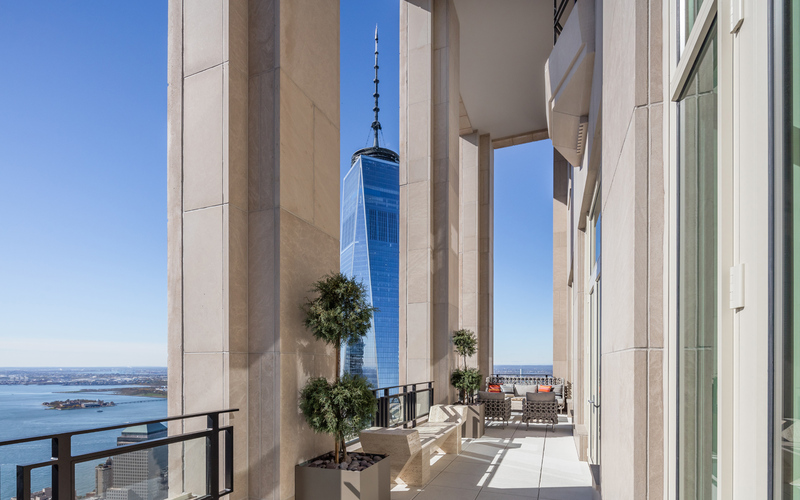 30 Park Place, Downtown Manhattan’s tallest condominium tower, is home to the city’s most luxurious residences, which feature full service from the Four Seasons Hotel downstairs and unbelievable views. The luxurious penthouses at 30 Park Place offer the best living in Downtown Manhattan, thanks to high ceilings, world-class views, and a private loggia perched above the hustle and bustle. With private terraces and breathtaking views of Manhattan the penthouses atop 30 Park Place are taking luxury condominiums to new heights. 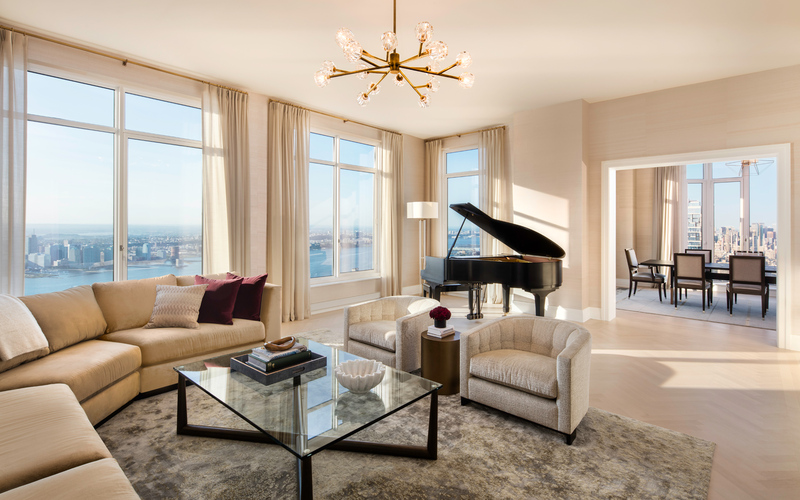 The luxury Manhattan condominiums at 30 Park Place have just released their most lavish penthouse with an asking price of $32.5 million. The flexible floor plans at 30 Park Place make these Tribeca condominiums the ideal choice for everyone from socialites to parents, and those who are both. Tribeca condominiums at 30 Park Place atop the new Four Seasons hotel are among the most anticipated luxury residences opening in 2016. The grand meeting space of the new Silverstein Properties Manhattan condominium skyscraper is set to be one of the most desirable event venues in NYC. Wolfgang Puck is bringing his talents to NYC, securing a home for his forthcoming restaurant, CUT by Wolfgang Puck, in Tribeca condominium 30 Park Place. 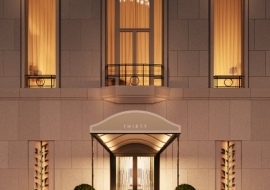 30 Park Place will soon have a celebrity in its midst when Wolfgang Puck opens the flagship location of his CUT by Wolfgang Puck restaurant in the building next year. Four Seasons Manhattan condominiums at 30 Park Place will soon be home to Wolfgang Puck’s first New York City restaurant,CUT by Wolfgang Puck. The Tribeca condominiums at the new 30 Park Place Four Seasons Private Residences celebrate the partnership of Silverstein Properties and Wolfgang Puck. Luxury homes are now held to the standard of the world’s best hotels, with the Four Seasons’ 30 Park Place condominiums in NYC setting the bar. Massive square footage and Four Seasons-approved amenities are making 30 Park Place the Tribeca condominium to watch. The luxury Manhattan condominiums at 30 Park Place boast some of NYC’s largest and most extravagant penthouses. Robert A.M. Stern’s 157 new TriBeCa condominiums at 30 Park Place split the space with a luxurious Four Seasons Hotel. The new 30 Park Place full-service Tribeca Condominiums by Silverstein Properties are making a stylish splash on Church Street. 30 Park Place is leading in sales of new Tribeca condominiums with the fresh, unique, and unrivaled architecture of Robert A.M. Stern. Designed to complement NYC’s skyline, 30 Park Place’s Tribeca Condominiums will be the tallest residential tower in downtown Manhattan. The title of tallest Downtown Manhattan building goes to the Tribeca condominiums at 30 Park Place with 157 residences and a height of 926 feet. The 157 Tribeca condominiums at 30 Park Place won’t be complete until 2016, but many are already staking their claim on its prime residences. Silverstein Properties’ 30 Park Place Tribeca condominiums are officially Downtown Manhattan’s tallest, reaching a staggering 926 feet. The Manhattan condominiums at 30 Park Place, opening in 2016, are Tribeca’s most anticipated and tallest, soaring to a dizzying 926 feet. The luxury condominiums at 30 Park Place will offer ample amenities, including custom fixtures, peerless views, and a private fitness center. Four months after sales launched, the 82-story mixed-use Tribeca condominium tower at 30 Park Place has sold half of the building's 157 residences. Architect Robert A.M. Stern is transforming Tribeca with the 82-story Four Seasons-managed luxury condominiums for sale at 30 Park Place. The 30 Park Place Tribeca condominiums offer all the amenities of the Four Seasons hotel brand, from luxury finishes to on-call staff. The Tribeca condominiums at Four Seasons-managed 30 Park Place are the neighborhood's priciest, drawing $4,300 per square foot. Four Seasons-managed Manhattan condos at 30 Park Place will soon be Downtown's tallest building, housing 189 hotel rooms and 157 luxury condos. The Four Seasons-managed Tribeca condominiums at 30 Park Place offer a prime Manhattan location and staff to attend to residents' every need. 30 Park Place has gone beyond the typical approach to contemporary development, and will stand as an arresting, modern TriBeCa condominium. A bright new addition to Manhattan's community of celebrity skyscraper condominiums, 30 Park Place, easily secures a spot on the coveted A-list. Rising 926 feet above TriBeCa, 30 Park Place's condos is the brainchild of New York’s most impressive real estate dream team. TriBeCa’s Four Seasons Hotel and Condominiums will offer a lavish lifestyle for residents and guests alike in New York City. The Woolworth Building, once Manhattan’s tallest, has a new iconic neighbor in the TriBeCa skies: 30 Park Place luxury condos. New York's elite are flocking to Downtown Manhattan, where luxury condominiums, like 30 Park Place, are blossoming. Silverstein Properties has combined opulence and artistry to produce an absolute masterpiece at TriBeCa’s 30 Park Place Condominium. Designed by Robert A.M. Stern Architects, 30 Park Place has been one of the most highly anticipated new condominiums in NYC. Luxury condominium developments like 30 Park Place offer a dizzying array of deluxe amenities to its future residents. There is always something to celebrate in NYC. 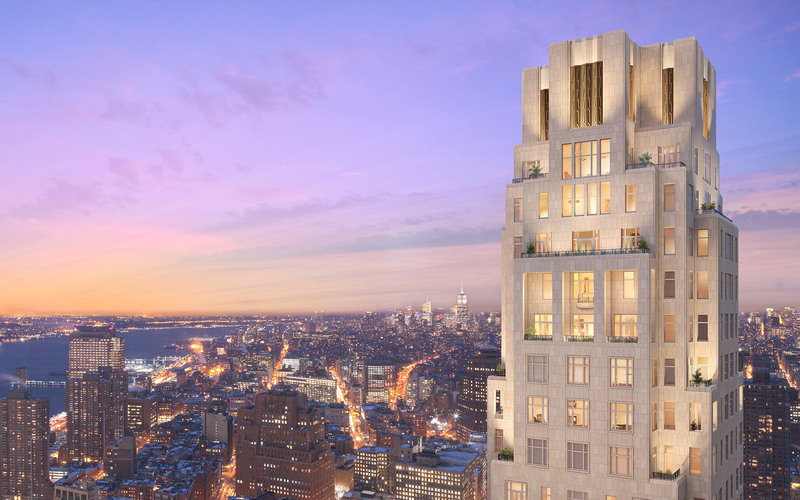 Downtown, it’s the meteoric rise of the instantly-iconic condominium, 30 Park Place. Four Seasons-managed Manhattan condos at 30 Park Place will soon be NYC’s most coveted address, thanks to its plush amenities. 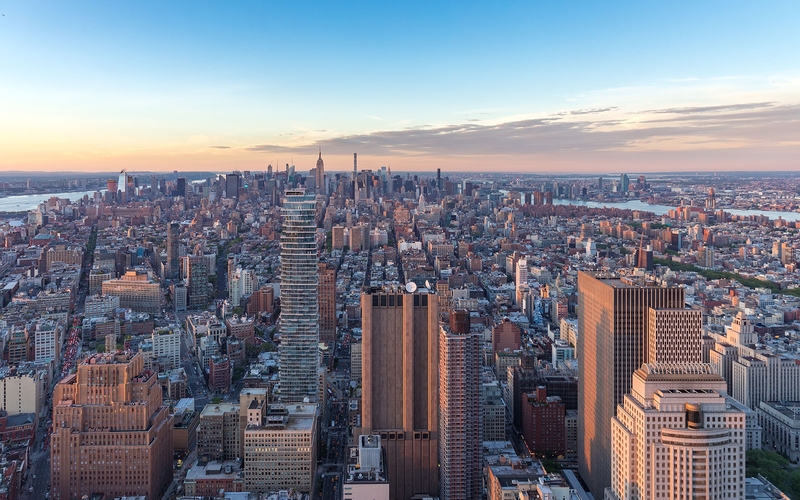 Silverstein Properties is a privately-held, full-service real estate development, investment and management firm based in New York that has developed, owned and managed more than 35 million square feet of commercial, residential and retail space. Currently, the firm has $10 billion of development underway including Four Seasons Resort Orlando at Walt Disney World Resort, Four Seasons Private Residences New York Downtown and projects in Europe, Asia and Israel. The company has been recognized as one of the “Best Places to Work in New York City” by Crain’s New York Business for the past six years. Since the opening of its first hotel in 1961, Four Seasons Hotels and Resorts has followed a path of innovation, expansion and dedication to exceptional quality. Now managing over 90 hotels in 38 countries, this Canadian-based company is distinguished by the hospitality industry’s highest standard of service, delivered with friendliness and reliable efficiency. Around the globe, the Four Seasons name epitomizes luxury, offering a lifestyle with personalized 24-hour care in surroundings of unmatched style and quality. With over 30 years of residential experience, Four Seasons is an expert in property management – dedicated to maintaining long-term value and meeting the needs of the world’s most discerning residential clientele. Robert A.M. Stern Architects, LLP, is a 300-person firm of architects, interior designers, and supporting staff. Over its forty-five-year history, the firm has established an international reputation as a leading design firm with wide experience in residential, commercial, and institutional work. As the firm’s practice has diversified, its geographical scope has widened to include projects in Europe, Asia, South America, and throughout the United States. The firm maintains an attention to detail and commitment to design quality which has earned international recognition, numerous awards and citations for design excellence, including National Honor Awards of the American Institute of Architects, and a lengthening list of repeat clients.